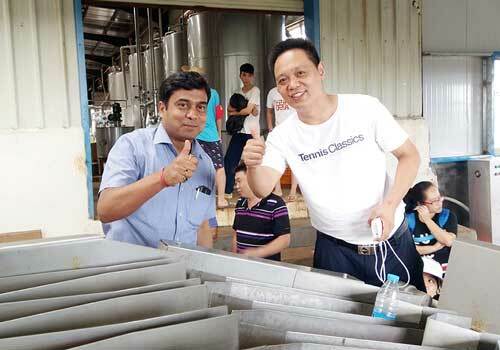 Machinery for orange juice processing plant needs scientific research support. Although the number of employees and the total number of enterprises in the fruit juice making machinery industry is larger, the strength of scientific research in the industry is weak, and the corresponding majors in the research institutes and colleges are relatively few. Some advanced technologies in the industry include ultra-low temperature, ultra-high pressure, membrane separation, supercritical fluid extraction, radiation, vacuum, etc. It is impossible for a single research institution to complete, and it is urgent for enterprises to invest funds. Filling machine is strongly supported by scientific research. Brand is the soul of an enterprise. If an enterprise manages its own brand well, it must have reliable product quality, high quality after-sales service and image-building marketing propaganda. Tianjin Anson International Co., Ltd (TICO) is the leading orange juice machine equipment manufacturer and supplier in China. The company can meet the needs of orange juice processing plant. 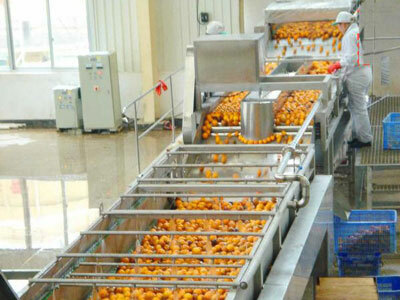 TICO can provide customer with a complete fruit juice processing line, the customer may be orange juice processing plant. These machines include sorting machine for orange juice making, brush cleaning machine, orange peeling and extracting machine, orange essential oil extraction machine, filling machine, etc. In addition, the production line of orange juice integrates heating, sterilization, cooling, on-line homogenization and aseptic filling, and has the advantages of continuous production, high production efficiency, low cost, high technology content and high profit. Fruit juice is an indispensable part of people’s life, orange juice is especially common. The necessity of orange juice has promoted the development of orange juice processing plant. The fruit juice production line is also a way for small and medium enterprises to get rich. It can not only create more wealth, but also satisfy the needs of the vast number of consumers. The filling and packaging of orange juice is very important. In order to better meet the needs of our customers, orange juice processing plant needs to constantly improve filling and packaging skills. TICO has increased the strength of the orange juice production line to promote the better packaging of the products. Therefore, TICO orange juice production line is a good choice for orange juice processing plant s. TICO has always developed to meet the needs of customers. Grow together with the market to create the way to get rich in orange juice processing plants. TICO is a professional manufacturer of fruit juice processing equipment, which combines design, manufacture, sale and after-sale. Tianjin Anson International Co., Ltd (TICO) absorbs the advanced technology of the world and has many years fruit juice machine equipment production experience and technology accumulation. The company can manufacture high quality filling machine and orange juice processing machines.